In recent years wall stickers have become popular decorative items due to their flexibility for being moved and changed. This chalk board sticker is really novel and something which can make for a really retro promotion. When marketing your brand why not design a custom wall sticker with an added twist- A wall sticker that can be drawn on. 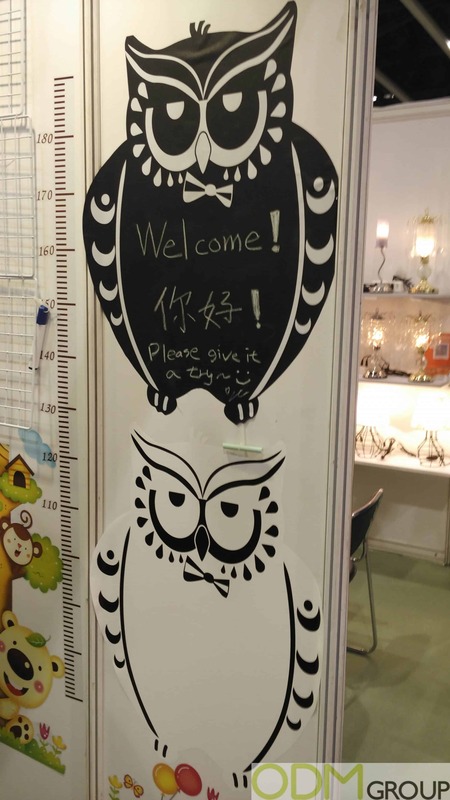 This specific custom wall sticker is in the shape of an owl and comes in two different varieties, black and white. What’s special about these drawing boards is that they function as a blackboard and whiteboard, perfect for drawing and writing memo’s, or even as a decorative item using markers and chalk. Using a custom wall sticker which can be drawn on would be the perfect promotional gift for companies within the kitchen industry, home decorations industry, children promotions especially when given as a free gift when you purchase other products. A custom wall sticker like this can be used by children in their bedrooms, as memo pads, for shopping lists and recipes in the kitchen or even in the office! How can a custom wall sticker increase your brands sales? Design. A wall sticker drawing board can be custom designed, and can be made to represent a mascot, a theme (sports-football shaped) or even a plainer design. Being used as a black board and white board gives this custom wall sticker the user a chance to design and customise the product itself. Practical. Can be used in numerous places which aids in brand awareness. Practicality will help increase value, and a more valuable gift is more likely to be bought thus helping to increase sales. Gift with purchase. People at first may not think to buy this custom wall sticker, however if given as a free gift its offers the customer an enticement to buy, and increase interest as to how they could use it, leading to a bigger pull factor to buy. A custom wall sticker is a fun way to design your wall without the need for screws and holes in the wall as they can be peeled. With our Mindsparkz design team, we can help in creating a promotional product to best fit you so feel free to contact us for more information and for these wall stickers please quote to us product reference ODM-1215. More creative ideas for your inspiration. Art materials – everything to let your creativity flow!